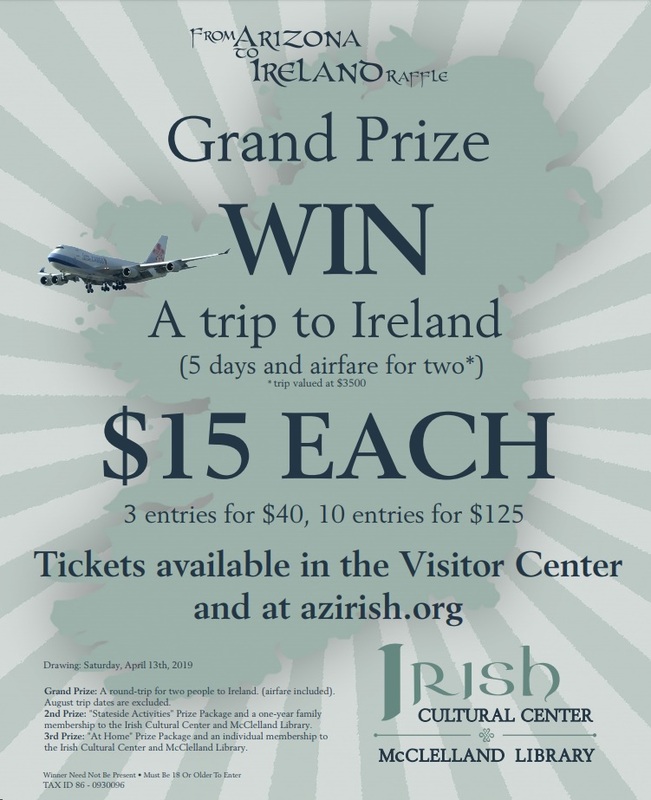 Our annual “From Arizona to Ireland” raffle fundraiser is sponsored by the Irish Cultural Center and McClelland Library. All funds generated from this campaign will go directly toward supporting the Irish Cultural and Learning Foundation. Your generous support will enable us to continue to provide and enhance the Irish Cultural Center and McClelland Library’s popular major annual events, classes, and programs as well as providing funds to support our new initiatives. Tickets are $15 each, 3 tickets for $40, or 10 for $125. You can also purchase paper tickets at our Visitor Center (during normal business hours), or at any of our major upcoming events. Winners will be announced on Saturday, April 13th. This raffle features three 3 (three) winning prizes. 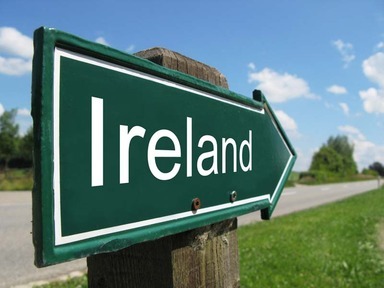 The 1st Place winner will be awarded a round-trip for two people to Ireland. (airfare included). August trip dates are excluded. The 2nd Place winner will receive a “Stateside Activities” Prize package and a one-year family membership to the Irish Cultural Center and McClelland Library. The 3rd Place winner will receive an “At Home” Prize Package and a one-year single membership to the Irish Cultural Center and McClelland Library. The raffle is open to the public. Must be 18 or older to purchase a ticket. We will be streaming the drawing announcement LIVE on our Facebook page! Like our page at the button below and tune in at 3pm on Saturday, April 13th, to see if you’re one of our lucky winners!! !